For a while, it was the show that would not die. 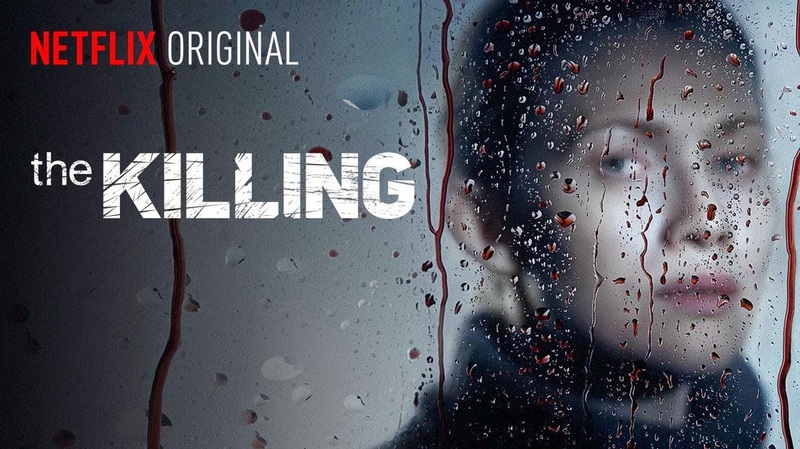 Cancelled after two seasons on AMC, brought back for a third season and then cancelled once more, only to be finally revived for the last time by Netflix, The Killing became a cult classic of sorts. 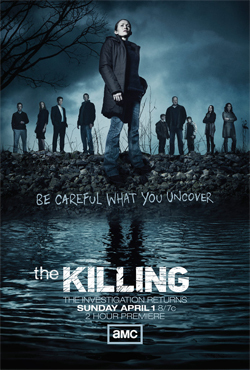 Starring Mirelle Enos and Joel Kinnaman, The Killing can basically be broken down into three different stories. 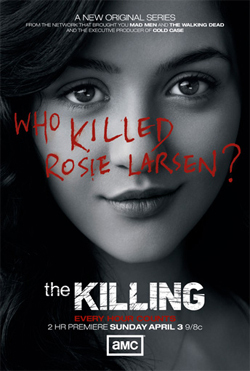 Seasons one and two revolve around the murder of a Seattle teenager, Rosie Larsen. As Detective Sarah Linden (Enos) is about leave the Seattle PD and leave for California with her son Jack and fiancee, she is called to the crime scene where Rosie's body is found. Partnered up with the new arrival of Detective Stephen Holder (Kinnaman), the two interview everyone from Rosie's parents, to her aunt, favorite teacher, father's best friend and even mayoral candidate, Darren Richmond (Billy Campbell). Speaking of Richmond, in the midst of his campaign, his life and allegiances are tested in the cutthroat political world of the Pacific Northwest. As Linden and Holder explore the disappearance and enigmatic life of Rosie Larsen, the Larsen family begins to crumble, livelihoods are ruined, and the connections run deep. Each clue is a door to a completely new mystery surrounding Rosie and as the pressure of the case builds, its effects on the policing duo intensify. Secrets are uncovered and the shocking truth about Rosie Larsen's death is revealed in the amazing, stunning, and completely suspenseful season two finale. Each episode concludes with a cliffhanger ending, forcing you to stay up to watch "just one more" every time you select it from your Netflix Queue. Completely removed from the Larsen case, Linden and Holder return to the streets of Seattle, where more dead children are found. This time, they are younger than Rosie, early to mid teens and they are runaway girls; ones with real families to go back to. Inside a jail cell awaiting his execution is Ray Seward, the man believed to have killed his wife in a case that has haunted Linden for years. As Linden comes across body of water containing the remains of seventeen girls, countless clues arise that force her to reevaluate her arrest of Seward. She and Holder team up with a punk street kid named Bullet and search again for a missing girl named Kallie. The new discoveries lead to the story of finding the "Pied Piper". Like the previous seasons, there are two central stories to follow; Linden and Holder's investigation and Seward's time in jail. Jumping back and forth reveals details that ultimately lead to the most tense and heart-pounding episode of the season, titled "Six Minutes". The last fifteen minutes will truly leave you breathless. With strong storytelling and brilliant writing, the two hour season finale is filled with twists, turns, and an unpredictable outcome that makes you question, in hindsight, why AMC cancelled the series after this season. Similar to the first two seasons, each episode leaves you wanting more and forcing yourself to watch episode after episode. In the series' final installment, the gloves are off as Linden and Holder continue on with their lives after the events of the season three finale. Assigned a new case involving a slain upper class family in a posh waterfront home, the guilt from their actions put Linden and Holder at odds as they attempt to solve the brutal case. The Stansbury Murders are the central story as the lone family survivor, Kyle, is questioned during his amnesiac period. The colonel of the military academy for troubled youth is overly protective of Kyle, but for what reason? Why is she so interested in an outcast like Kyle Stansbury? Detectives Linden and Holder uncover a new set of disturbing details pertaining to the Stansbury Murders throughout the final six, tension filled episodes leading to the solving of both the Pied Piper and Stansbury Murders cases. Will the absolution of both cases bring personal fulfillment to the two protagonists or create more dissonance? Why should I ruin it for you all!? 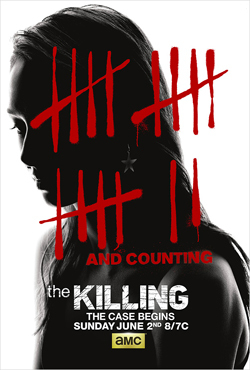 The Killing is truly an engrossing series that draws you in from scene one and never lets go. It is a slowly building series, but the character development is fantastic and each case carries its own unique side story as well as details and motives. Personal and professional lives are blurred and exposed throughout its 42 episode run. One of the best series I've ever experienced and one that I cannot stop thinking about even after I completed quite a while ago. It is one that will be viewed again in its entirety sometime down the road in the not too distant future. It has everything you could want in it; suspense, drama, love, humor, sadness, action, and many, many other moments that will be talked about for years to come. I cannot stress how good this series is enough, so stop reading this and go get lost in Seattle....right now!